From 1977 to 1982, Queen were at the peak of their popularity and power through hit albums, singles and concerts. It was a period during which they gradually veered away from the elaborate productions of the earlier records but without compromising the distinctive hard rock sound. That was certainly true of 1977’s News of the World, perhaps arguably the group’s answer to the punk revolution. It is a very straight-ahead rock and roll record represented by two of the group’s iconic anthems: the hard-stomping “We Will Rock You” and the unifying ballad “We Are the Champions.” Clearly the band was not rattled by punk but rather embraced the challenge as evidenced on the blistering rockers “Sheer Heart Attack” and “Get Down Make Love”; the lean and nasty “Fight from the Inside”; and the climactic jam on “It’s Late.” As usual, Queen’s willingness to embrace new sounds is also shown on the tropical stylings of “Who NeedsYou” and the blues of “Sleeping on the Sidewalk.” After the sonic assault of the previous 10 songs comes a very torchy closing ballad “My Melancholy Blues,” one of Freddie Mercury’s best compositions and performances. News of the World ranks as one of the group’s top five albums of all time. 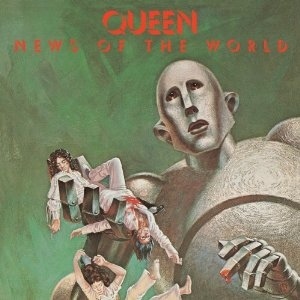 The highlight of this reissue is the previously unreleased track, “Feelings, Feelings,” a very loose-sounding rocker that finally makes its proper release; other noteworthy songs on the bonus EP include BBC performances of “Melancholy” and “Spread Your Wings,” and a fast live version of “We Will Rock You” from Tokyo in 1982. Jazz (1978) really captures Queen at the height of their invincibility and bombast. 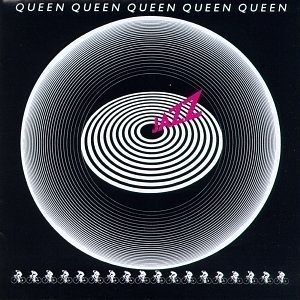 A song like the raunchy “Fat Bottomed Girls” may seem now politically incorrect in 2011, but it’s funny and tongue-in-cheek–certainly it’s one of the three memorable tracks along with the whimsical “Bicycle Race” and the dazzling piano-dominated rocker “Don’t Stop Me Now.” “Let Me Entertain You” seems like autobiographical account of the group’s fame at that point. 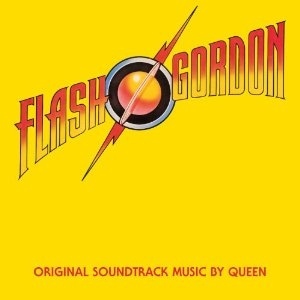 And while causal listeners may think Queen’s foray into disco began with “Another Ones Bites the Dust,” it really started on the Jazz album with Roger Taylor’s upbeat funk rocker “Fun It.” The bonus songs on this reissue don’t offer many surprises (among them the “Fat Bottomed Girls” single and a live performance of “Let Me Entertain You” that can be found on Queen Rock Montreal) other than a version of “Don’t Stop Me Now” featuring a alternate guitar solo by Brian May. 1980 was definitely Queen’s year as far as their dominance of the U.S was concerned. The Game was the band’s hit album in the States featuring two of their only No. 1 songs there: the rockabilly-styled “Crazy Little Thing Called Love” (written by Mercury) and the disco classic “Another One Bites the Dust” (composed by John Deacon). It was a period in which Queen really experimented with new styles and even incorporated a synthesizer for the first time. All in all, aside from those two legendary tracks, The Game is Queen’s most accessible album at that point. 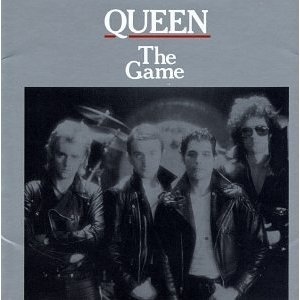 : from the majestic “Play the Game” and the funk rock of “Dragon Attack,” to the doo-wop greaser rock of “Don’t Try Suicide” and the heartbreaking ballad “Save Me.” Fans are probably delighted by the inclusion of two songs on the bonus EP: a B-side, Roger Taylor’s “A Human Body,” and the original version of “It’s a Beautiful Day,” featuring Freddie’s voice and piano– it would later be revisited for 1995’s Made in the Heaven album. Queen’s momentum in the States slowed down with the release of Hot Space in 1982. It was only natural that the band would try to repeat the success of “Another One Bites the Dust” by featuring funky disco numbers on Hot Space—such as the horn-happy “Staying Power,” the slinky “Body Language” and the Euro-sounding Back Chat. The rest of the album consisted of the familiar Queen rockers and ballads like “Put Out the Fire” and “Las Palabras de Amor,” but the overall results were mixed. 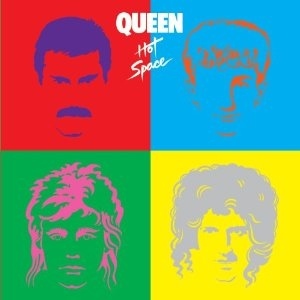 The only memorable track on Hot Space is one of Queen’s best songs—– a duet with David Bowie on “Under Pressure,” whose piano and bass lines was later sampled by Vanilla Ice’s 1990 hit “Ice Ice Baby.” In retrospect, while not the band’s finest effort, Hot Space does have its moments song-by-song. And like the reissue of The Game, this new release of Hot Space features another B-side track, the gospel-flavored “Soul Brother,” fearing Mercury cleverly name-checking past Queen songs; other highlights on the bonus EP include live performances of “Action This Day” and “Calling All Girls” from Tokyo in 1982.